Our team of specialist solicitors help people every year with claims for serious and life-changing injuries that have been caused or made worse by someone else’s negligence. We are here to help and support our clients throughout the entire claim process, across various types of serious injury and medical negligence. SJP Law's medical negligence and serious injury teams are a tight-knit team of experienced, like-minded specialist solicitors, paralegals and admin staff whom are resolutely committed to putting the needs of our clients first. Recognised by the legal industry as experts in serious personal injury and medical negligence, we hold accreditation with both Chambers UK and the Legal 500 as a leading practice. At SJP Law, we understand that having the confidence to step forward and make a claim can be daunting, and that it can be difficult to know where to start, and whether you are making the right decision. Committed to ensuring our clients receive the best possible service, SJP Law will only take on your case if we believe it is in your best interest, and that the compensation you receive will be worthwhile. We do not use hard sell tactics, and will not try and push you into making a rash decision – our aim is to build a strong relationship with you based on trust and for you to feel confident that your case is in the best hands. You get in touch with a friendly member of our team, either by filling out our contact form, or by calling us on 01482 324591. An SJP Law expert will speak with you over the phone and ask you some initial questions to see whether we think you may have a case. If we feel that it is in both our interests to proceed, then we provide you with a no obligation consultation. This service is available nationwide and is no obligation. At this meeting, we will also provide you with funding advice (generally either via insurance, or on a 'No Win, No Fee' basis). After this meeting, if we think you have a case, and you want to proceed, we will start to gather evidence to support your case. With SJP Law, you can choose from a number of different funding options available, including insurance and 'No Win, No Fee' agreements. However you choose to fund your case, there will be absolutely no upfront cost to you. We take on the vast majority of cases on a 'No Win, No Fee' basis - which means that you will not have to pay us a penny until your case has been settled or you have received some compensation through the process. In these cases, the majority of your legal fees are likely to be paid by the defending party. Our experience in the field means that we can usually make a good estimation of final costs at the beginning of the process - and we will never let you go ahead with a claim if we do not think it will be in your best interests, financially, practically and emotionally. You get in touch with a friendly member of our team, either by filling out the request a call form, or by calling us on 01482 324591. One of our qualified experts will call you over the phone and ask you some questions, to see whether we can help. A friendly, fully qualified expert Solicitor will visit you at your home for a free, no obligation consultation to discuss your case. At this meeting, we will also provide you with funding advice, and the best way forward. Once instructed, we will start gathering the evidence needed to support your case. In any Medical Negligence case, we need to prove that a mistake was made, and that it has caused serious injury to you. We'll gather information and medical notes from your GP, as well as all the medical staff associated with your case. This data will then be sent to one of our expert nurses, to ensure that we have everything we need to take your case forward. Information about your case will then be sent across to a specialist, independent expert, who will go through the evidence to ensure you have a case. This process can be lengthy, but we'll keep you informed about developments and make sure you're up to date and understand everything, as it happens. We'll present the case, and the supporting evidence to the defendant, asking them whether they agree that we have a case – they have 4 months to respond. In the meantime, we'll continue to build your case, gathering reports from a team of medical specialists so that we can understand the current and future needs of you and your family. When the defendant's response comes back, we start court proceedings. At this point, it's likely that the defendant will deny you have a case, but it's possible that they will admit some kind of fault. If this is the case, then we can begin the process of gathering interim funds from the defendant, to start putting a dedicated care package in place for you. Once the defendant has answered the case, then court proceedings can begin. It's important to remember that the overwhelming majority of cases never make it to a final Court hearing – generally, most defendants choose to settle rather than face trial. Both sides will ask you to go and see independent medical specialists, to assess your condition and future needs. We will need to take detailed witness statements from you, your family, carers and employers. As the trial date approaches, both us and the defendant are asked by the Court to explore the possibility of settlement at meetings which we will attend with you. You will be invited to meetings with us, your barrister and medical experts to assess and work on your case. 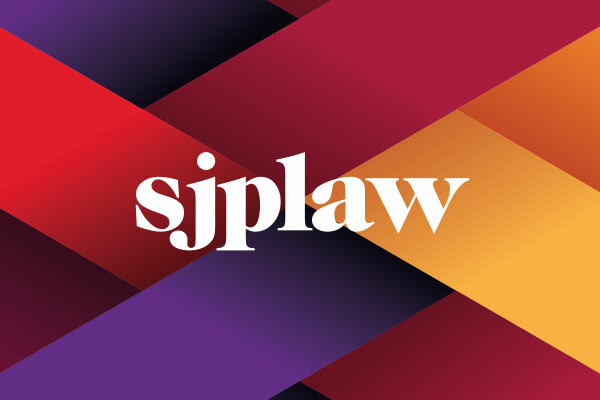 Whatever happens, a dedicated member of the SJP Law team will be there to hold your hand, standing in front of you, and guiding and preparing you for every step of the process. When you've received your compensation, we can help you to manage your fund, to ensure that it continues to provide you with the right level of lifelong care you require. Our teams can also help you to identify and put in place a high-quality bespoke treatment, rehabilitation and care package to ensure that you can enjoy the best possible quality of life. We are recognised by the Law Society as specialists in dealing with clinical accident and injury cases, so you can put your trust in us, secure in the knowledge that your case is in safe hands. We are here to make the process of making a claim as easy as possible for you, providing constant support and real peace of mind, so you can concentrate on recovery and rebuilding your life. I received a fantastic service from Stamp Jackson and Procter, they kept me informed at all times and explained every detail clearly so that I knew exactly what was being done to help me. I have been really happy with the service, support and guidance provided and would recommend them 100% to anyone who needs their service. I fell and injured my left knee.